Comment: House is a single story bungalow with a single ridge covering a home of less that 1000 sq feet of heated space. I want black or gray asphalt shingles. Comment: The roof in need in repair is our sunroom roof. We have had issues with water damage to our ceiling tiles for quite some time now. We had a roofing company come out and they put down a roll out sort of sheet roofing material that began giving us trouble after the first heavy rain. Actually new leaks were created in a section that never had leaks before. They came out on three occasions but never offered to replace the roofing since I could not prove their job created the leaks. They finally had a man come and do some investigating of the leaking area which they determined to be caused by a faulty flashing job done on the dormer. Their cost to repair it was twice the cost of the roofing they put down. I then had someone else come to look at it and they also stated that it could be the dormer. They offered an estimate to fix it but the weather has been prohibitive. I contacted them later to get the job started but have not heard back. I really would like to have this repair done soon. Comment: Leaking into lakeroom. 2nd floor deck enclosed into a room. Rock Hill Roofing Contractors are rated 4.64 out of 5 based on 245 reviews of 10 pros. 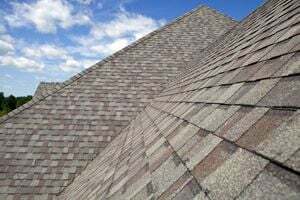 Not Looking for Roofing Contractors in Rock Hill, SC?